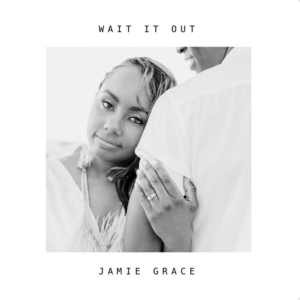 To say it has been a busy and exciting 2018 so for Jamie Grace is an understatement. The beloved pop princess extraordinaire released new music, celebrated International Women’s Day with YouTube, and then married Aaron Collins. It’s been a whirlwind of joy and happiness. Jamie Grace’s latest release, 91, is available online through digital retailers. At just 25 years old, Jamie Grace has an impressive list of accolades – 4 #1 radio singles, a GMA Dove award for New Artist of the Year, a Grammy nomination and Billboard Music Award nomination – along with millions of views on her weekly Youtube videos and a “crazy but awesome” (as Jamie Grace explains it) tour schedule. She is also half of Harper Still, a country-influenced pop duo with her older sister and writing partner Morgan Harper Nichols. This entry was posted in Christian Contemporary, Reviews, Testimonials and tagged Jamie Grace, People Magazine, Wait it Out by Kris Patrick. Bookmark the permalink.